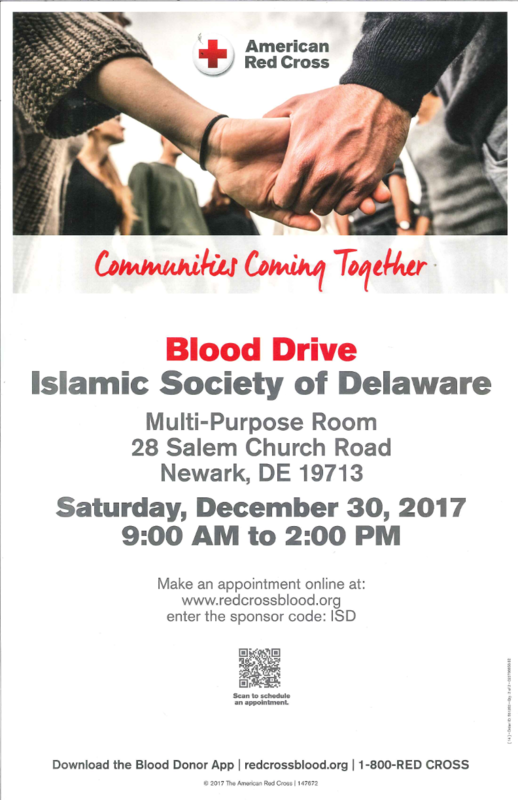 We need you to help the American Red Cross and local hospital patients by donating blood at the Islamic Society of Delaware blood drive on Saturday December 30. Please roll up your sleeve to help local hospital patients. Only volunteer blood donors can help save lives by donating blood!